Engineers and engineering managers involved in the design of automotive electronic systems need to have a basic familiarity with electronic noise and the electromagnetic compatibility (EMC) issues that influence the design and the performance of automotive systems. When EMC issues are addressed early in a product’s design cycle, the resulting designs often meet all EMC requirements without significant cost or performance problems. EMC problems detected after a product has been built and tested, on the other hand, can be very difficult and costly to fix. 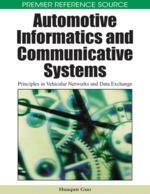 This chapter reviews automotive EMC requirements and discusses the design of automotive electronics for EMC. The objective of the chapter is to provide non-EMC engineers and engineering managers with basic information that will help them recognize the importance of designing for electromagnetic compatibility, rather than addressing electronic noise problems as they arise.